I have a desperate need for lotions and body butters in my house. It’s like every time the seasons change or the sun comes out or a butterfly flaps its wings on the other side of the planet, one of my kids has dry skin, I’m dealing with eczema or all of us are itchy from dry air. IT NEVER ENDS! 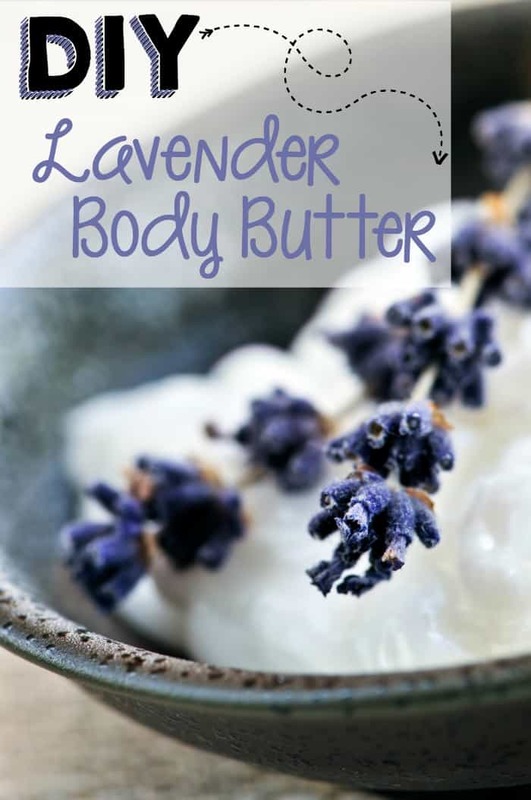 Luckily, I have this awesome DIY Lavender Body Butter recipe that makes me smile. I mean, really, when, in just ten minutes, I can whip-up a quick rub for my baby or a “sleepy-time” concoction for my son, I get a little excited. For reals, it’s that good. In a large mixing bowl, place coconut oil and vitamin E oil. Using a hand mixer, blend the coconut and vitamin E oils together for approximately 2 minutes, being sure to catch as much air as possible. You want this to be “whipped” as much as possible, because that’s super-fun. Add your Lavender drops and continue to blend with the hand mixer for an additional minute. Lotion can be used immediately, or, for extra fun, you can pop it into the fridge for a half hour and let it get cold before rubbing it on the affected area. 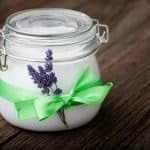 This body butter recipe is so gentle, I’ve even used it on my baby for her cradle cap (dry scalp). It kind of melts a little and goes really far, so when you scoop up some in your hand, be aware that it can get drippy, so work with small amounts. And this helps relieve some of the eczema symptoms. I know nothing on the planet really cures eczema, but sometimes the itching is just SOOOOO crazy. So, by using this I can be more gentle on my skin than I might otherwise be. And when you can rub something on eczema-afflicted areas that doesn’t contain alcohol, I feel like the moisture sticks with me longer. Also, because it contains lavender, we call this a “sleepy-time” lotion for my tween-son and toddler-daughter. 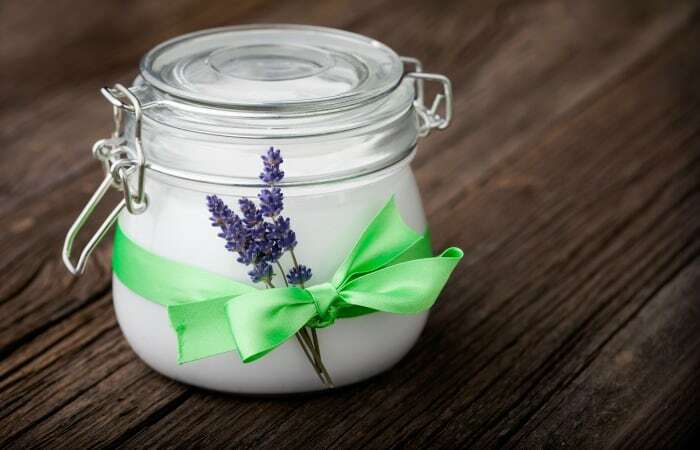 I have this awesome DIY Lavender Body Butter recipe that makes me smile. I mean, really, when, in just ten minutes, I can whip-up a quick rub for my baby or a "sleepy-time" concoction for my son, I get a little excited. For reals, it's that good.